Population growth throughout Florida has increased the amount of nitrogen pollution flowing into the state’s water, causing worsening algae blooms like we experienced in 2018. The graphic below illustrates the challenges facing different locations throughout Florida and recommends science-based solutions that can help turn our springs, lakes, rivers, estuaries and coastal waters back towards recovery mode. False narratives described below have distracted policymakers from facing the nitrogen pollution problem head-on. 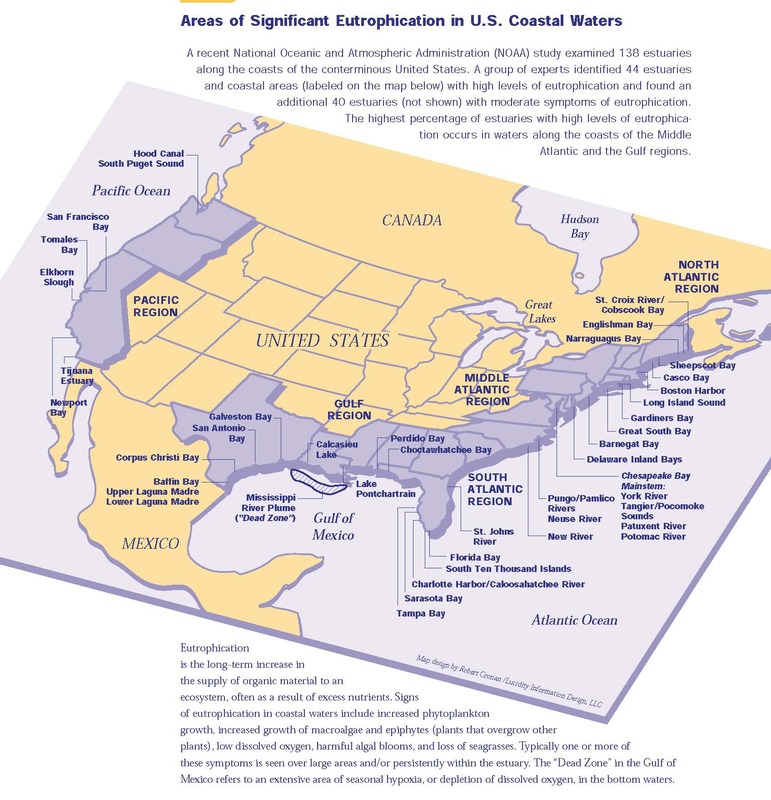 Over the past forty years, COAST’s Executive Director Dr. Brian Lapointe has provided peer-reviewed scientific evidence showing how an over-abundance of human-sourced nitrogen is destroying aquatic habitats. Explore the Nitrogen Trail below to discover how COAST’s science and recommended solutions can make all the difference for Florida’s clean water future. By clicking on the dots, you can review the issues facing Florida’s clean water future in that location. Each dot contains a description of an issue and the science-based solutions that COAST is recommending to save Florida's clean water future. 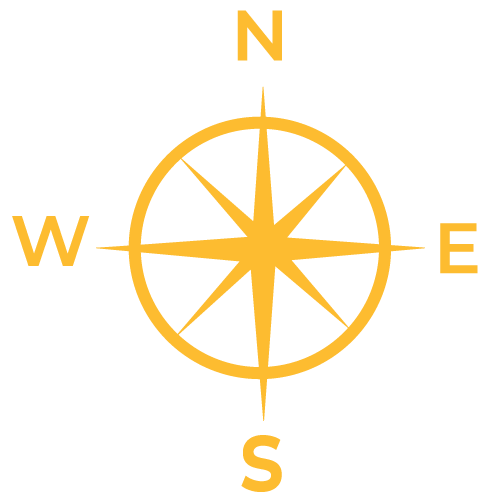 Join us in following the Nitrogen Trail! 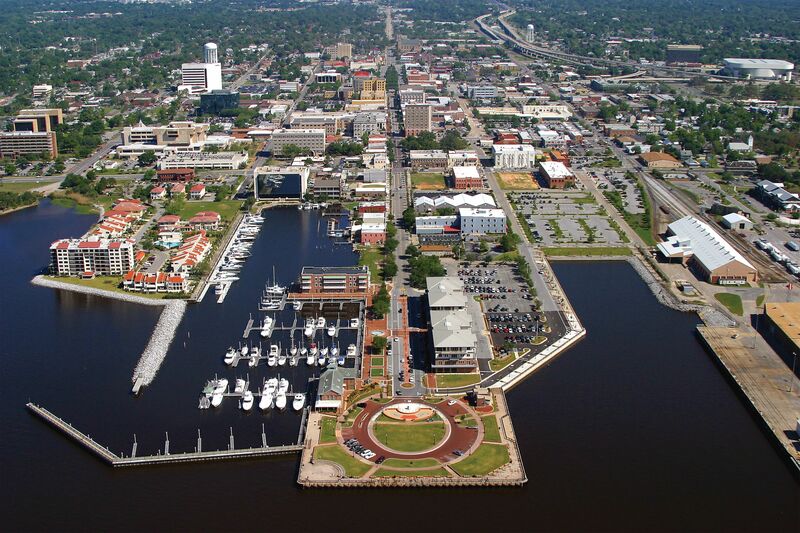 Pensacola Bay: Aerial photography shows that 95% of seagrass has been lost in in Pensacola Bay since 1950. Thousands of nearby homes are on septic tanks whose discharge contributes to algae and phytoplankton blooms shading out and eventually killing the seagrasses. Florida’s Springs: Intensive studies of springsheds such as Wakulla Springs have shown that septic systems have become a major, and in many cases the major, source of nitrogen pollution. For Example, a recent study by FDEP showed that 51% of the nitrogen loading causing algae blooms in Wakulla Springs is from septic systems. Similar studies in Silver Springs have shown that Septic systems are contributing 40% of the nitrogen loads. For More Information: Please see the link for the following video sponsored by the Chamber of Commerce Foundation on the health of the springs. Tampa & Sarasota: Dr. Lapointe’s mentor John Ryther’s research in the 1950’s and 1960’s led officials in Tampa & Sarasota to pass the Grizzle Figg Act requiring Advanced Wastewater Treatment (AWT) that has dramatically reduced the negative impacts associated with excess sewage nitrogen. 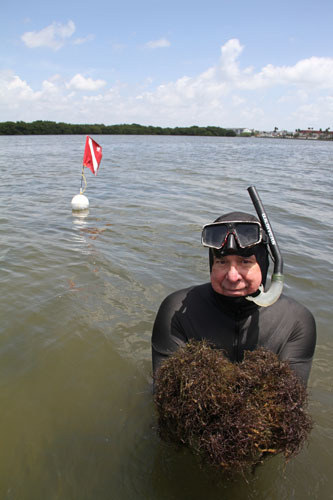 Seagrasses have grown back and are now at the same level as they were during the 1950’s. Lee County: Low nitrogen to phosphorus ratios in Lee County result in the growth of harmful algae blooms commonly referred to as “red tide”. Dr. Lapointe’s recent research has linked these red tide events with heavy runoff and excessive nitrogen loading from sewage and fertilizers. Solution: Replicate the policy changes implemented in Sarasota Bay and Tampa Bay to remove nitrogen from wastewater to reduce the severity of harmful algal blooms. Kissimmee Basin: From 2013 to 2017, the Kissimmee Basin watersheds north of Lake Okeechobee contributed 89% of the total nitrogen loading into the Lake. Dumping nitrogen- laden water from booming population centers in central Florida into Lake Okeechobee has contributed substantially to toxic algae blooms in Lake Okeechobee and the Caloosahatchee and St. Lucie estuaries. Attempting to restore these interconnected ecosystems by simply sending this nitrogen-laden water to a reservoir south of the Lake only delays critically needed restoration - and at a tremendous cost to taxpayers. Solution: Restore state and federal funding for water quality monitoring (followed by COAST's compilation and analysis of the resulting data) so that our state can make future decisions based on sound science. Fund septic-to-sewer conversions to remove sewage nitrogen at its source.Change the law to require that all agricultural operations utilize Best Management Practices to reduce nitrogen loading into the Kissimmee watershed that ends up in Lake Okeechobee. Caloosahatchee: Nutrient enriched water from Lake Okeechobee flows down the Caloosahatchee, Peace, and Shark Rivers during each rainy season. Combining high water temperatures with nutrient rich water is a recipe for the harmful algae blooms that harm seagrasses, coral reef, and the marine wildlife that depend on them. 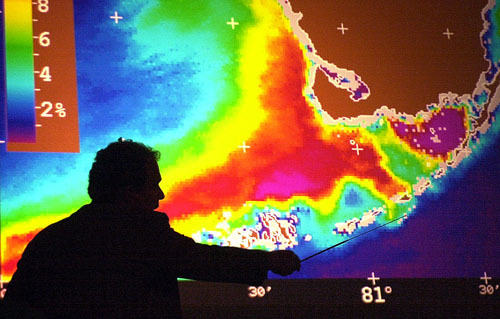 Florida Bay: The Pew Institute has identified Florida Bay as a “dead zone”, the result of too much nitrogen pollution. The National Academy of Sciences has confirmed that there is very little peer-reviewed science to support the “hypersalinity” hypothesis which asserts that decreased flow of freshwater has been the root cause of seagrass loss in Florida Bay. 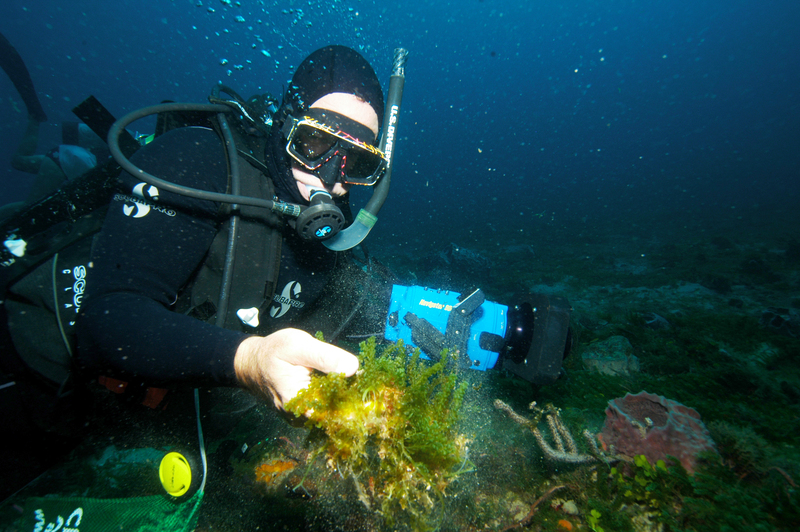 Although high levels of salinity and increased temperatures are secondary factors that lead to seagrass stress, there is a substantial body of data showing that reduced light and low oxygen levels (caused by increased growth of harmful algae blooms as a result of nitrogen rich waters) are the primary causes of seagrass loss. Solution: Direct all available resources towards the improved treatment and storage of polluted water at the source and moderate the flow of nitrogen-rich freshwater into Florida Bay. Everglades: Freshwater once flowed south from Lake Okeechobee through the Everglades, naturally filtering and cleaning the water. Rapid development in South Florida has forever altered these historic flow patterns. In order to manage this crisis, the State of Florida is considering the implementation of ineffective and financially irresponsible plans to store polluted freshwater south of Lake Okeechobee and then dump it into Florida Bay. This approach will only lead to the same outcome as it did during previous periods of heavy freshwater discharge - blue-green algae blooms, a dead zone in Florida Bay, and a die-off of downstream coral reefs. 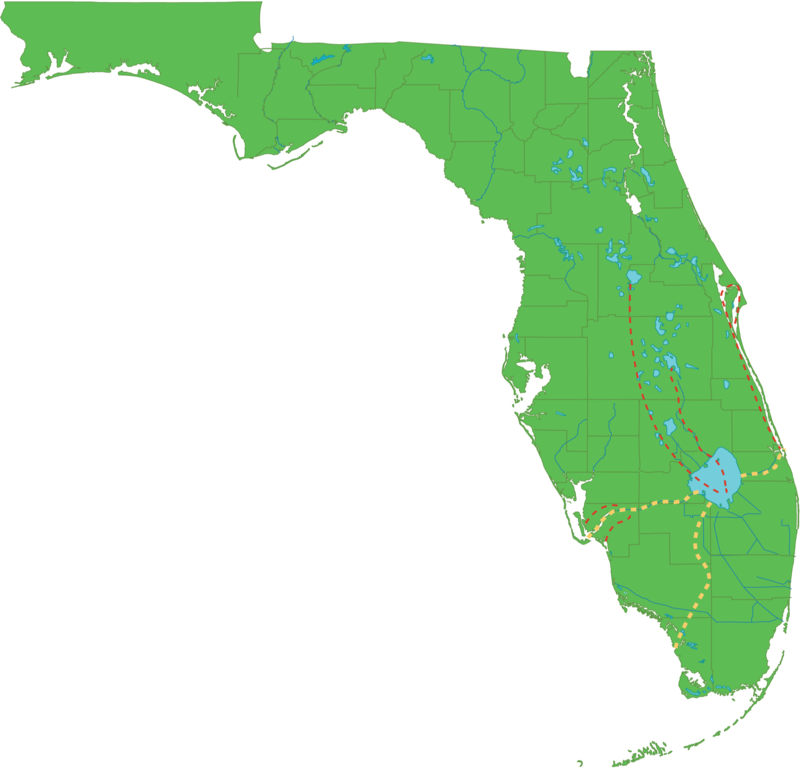 Everglades Solution: Direct the federal, state, and local financial resources necessary to store and treat water north of the Lake (e.g. 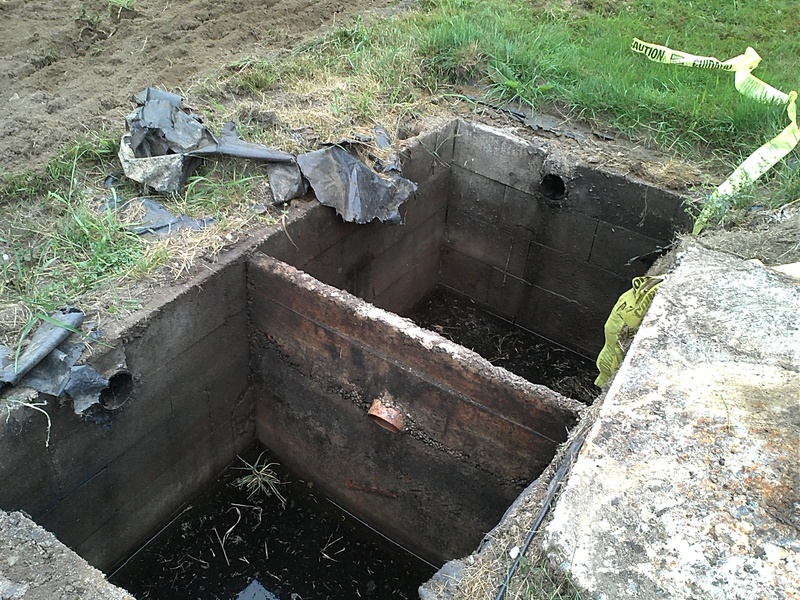 deep wells). Implement existing plans to provide additional storage at C-44 and C-43 reservoirs. 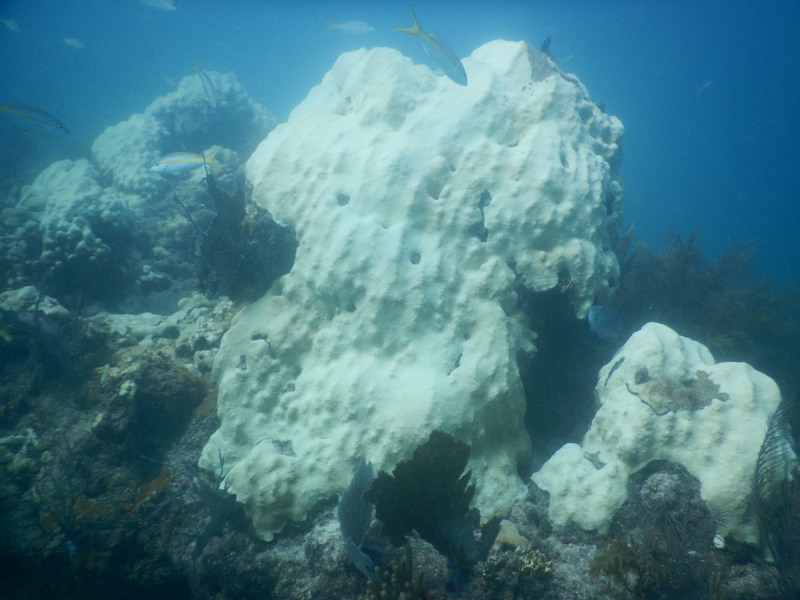 Florida Keys: Dr. Lapointe recently completed a 30-year study that shows how increased coral bleaching and diseases at Looe Key is directly correlated with increased freshwater flows and nitrogen loading coming from the Everglades. 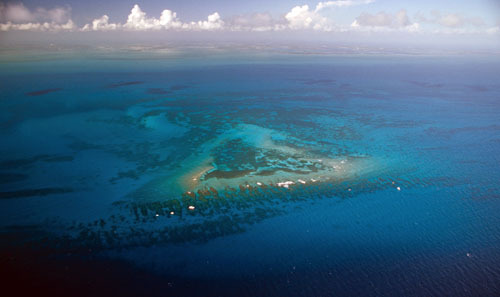 High nitrogen levels combined with relatively low phosphorus in the water at Looe Key leads to phosphorus starvation in the corals and metabolic stress. Solution: Reduce the flow of nitrogen-rich freshwater into Florida Bay and the Florida Keys by enhancing the storage and treatment of the water at its source. 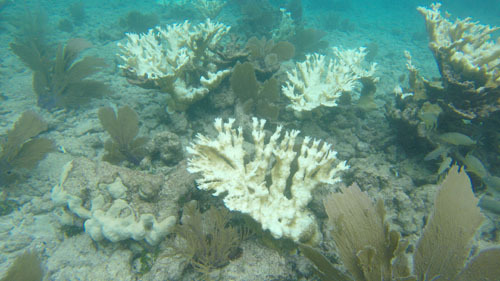 It is imperative that historical data linking freshwater discharges to coral reef collapse be used to dismantle the flawed “hypersalinity” hypothesis. Dr. Lapointe recently completed a 30-year study which undeniably proves that the death of the coral reef at Looe Key is directly tied to periods of increased flow of freshwater from mainland Florida. Solution: Build upon initiatives like Brevard County’s collection of a half-cent in sales tax to clean up the IRL. This initiative is projected to raise $486 million over the next ten years. COAST also recommends the development of a wastewater master plan for the IRL containing similar initiatives aimed at lowering levels of total nitrogen from sewage. 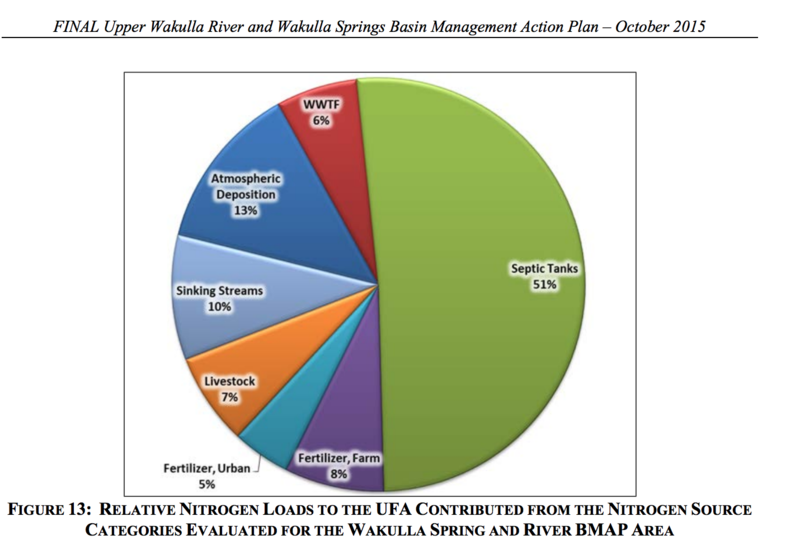 Lake Okeechobee Discharges: The rolling averages from the SFWMD indicate that 50% of nitrogen pollution loads from Lake Okeechobee head down the Caloosahatchee River, 30% is sent down the St. Lucie River, and 20% of the load is sent south into the waterbodies south of the Lake(SFWMD), primarily to the Shark Slough/River. Increasing water temperatures and rising nitrogen levels in Florida's waters is a recipe for the harmful algae blooms that increasingly devastate seagrasses, coral reefs, and the wildlife that depend on them. Solution: The State of Florida must designate Lake Okeechobee as legally “impaired” for nitrogen as it has already has been designated as impaired for phosphorus. Future management can then focus on the reduction of nitrogen entering Lake Okeechobee from the north. This management approach, in turn, will reduce the amount of blue-green algae that flows from the Lake (merging with local sewage-laden waters) creating toxic conditions in urban settings. Miami: Dr. Lapointe’s research on invasive green tides on coral reefs in SE Florida led to legislation to phase out six sewage outfalls between Miami Dade County and Palm Beach County. Solution: Accelerate the phase-out on ocean outfalls. Promote the use of advanced waste treatment, reuse, and deep-well injection. Solution: It is paramount that local communities take steps to convert problematic septic systems to advanced sewer systems that provide nutrient removal. For example, following Dr. Lapointe’s paper in 2017, Martin County has begun the process of converting septic to sewer in the study areas including Old Palm City and Golden Gate Estates. 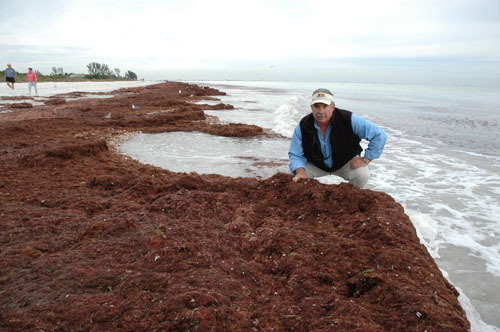 Sanibel Island: Low nitrogen to phosphorus ratios in Lee County result in the growth of harmful algae blooms that include both toxic red tides and red drift algae blooms (seaweeds). Dr. Lapointe’s recent research has linked these harmful algal blooms with heavy runoff and excessive nitrogen loading from sewage, fertilizers, and other sources. Solution: Begin septic to sewer conversion programs and begin the removal of the over 60,000 septic systems located in Lee County. 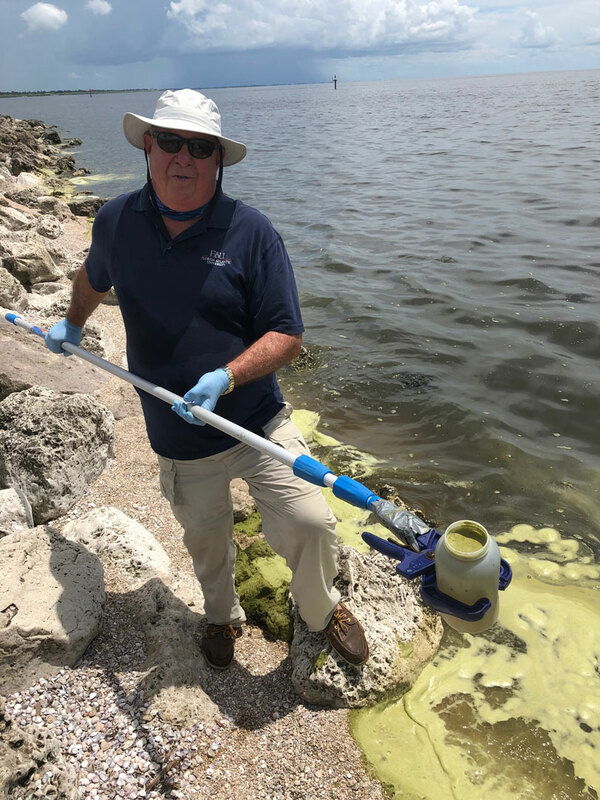 Replicate the policy changes implemented in Sarasota Bay and Tampa Bay to remove nitrogen from treated wastewater that will reduce the severity of harmful algal blooms. Ft Myers: Runoff from Hurricane Irma in September 2017, followed by extreme rainfall in May of 2018, caused excessive water and nutrient inputs into Lake Okeechobee. On June 1st 2018 water released from Lake Okeechobee seeded the Caloosahatchee Estuary with blue-green algae that formed massive, thick algal blooms in the sewage-polluted waters of Cape Coral and Ft Myers. 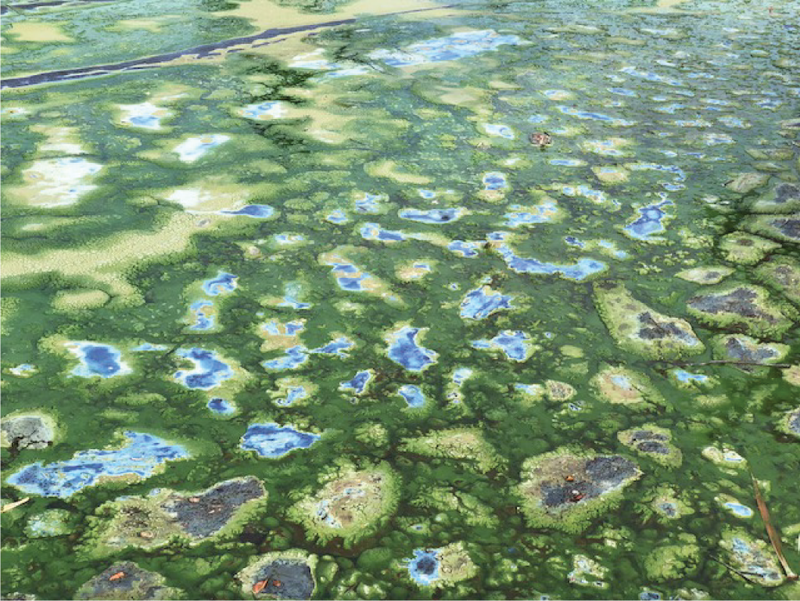 These thick “guacamole-like” blooms of toxic blue-green algae caused serious human health issues causing many people living on canals to have to evacuate their homes. Solution: Accelerate septic to sewer conversion in Lee County. Upgrade aging municipal sewer systems that are leaking raw sewage feeding the algae blooms. Phase out sewage outfalls in the Caloosahatchee and upgrade to advanced wastewater treatment, reuse, and deep-well injection.